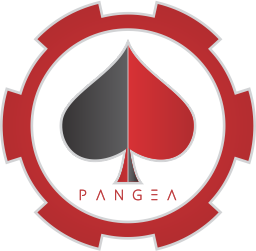 Pangea is SuperNET's decentralized poker that uses provably random numbers and will take advantage of the built in privacy features of SuperNET. 80% of revenues will be distributed to assetholders. 20% of revenues will go to marketing affiliates, with Privatebet handling the SuperNET players for Pangea. Latest plans are to release a playmoney standalone version for testing purposes in late March/early April. Then, we plan to integrate into superNET and have a realmoney release in May/June. Oi oi whats goin on ere boycee? The biggest problem is not to develop a poker site, but bring fishes to play there. Without bad players no regulars will come and the regulars are the guys who are brining the money for the poker site when they are 10 tabling +. I'm really excited about these projects as a professional poker player. Wish you luck and don't forget a huge marketing campaign. With regular poker sites limited player pool by regulations (pokerstars has 30+ countries banned,US included, and separated pools for countries like Spain, France, Italy, etc.. http://www.pokernews.com/news/2014/10/pokerstars-and-full-tilt-poker-withdraw-from-30-countries-19412.htm) and huge rakes to comply with countries requirements,crypto bringing lower rake and international liquidity, + not having to pay taxes on winnings, crypto poker and gambling can bring big adoption of crypto.And this adoption snowball more players to this services. Specially for fishes this is GREAT. don't forget to promote your site on the biggest poker forums. I've told some people there about crypto poker site and they were very interested. That is where Supernet comes in... direct withdrawal to Visa with Coinomat (I think). That is where real life connections and big holders to buy and sell money comes, once the site is very popular. That has been done in the past very frequently, when people wanted to deposit into pokerstars or eurosites but didnt have a method to do it comfortably. Frequent winners used this to cash out without losing a cent, and making good relations with people with a lot of money who just wanted to gamble fast. Pokerstars moneytransfer made it easy, but with crypto sending money user to user is even easier. Even mafias have bought pokerstars$$ to big winners to do whatever (transfer worldwide at 0 cost), and players are happy because they get the cash without paying fees or leaving any track. In some cases they could even get paid something, as you need certain volume played, to have instant transactions without limits nor conversion fees nor transfer fees, so those accounts have value. Eg. i want to cashout 20k$ in nxt i won playing poker, but dont want to go through btc or coinomat or exchanges... so i give you the nxt to play poker, and you give me the cash in hand. And in a poker festival you can find dozens of persons interested in these trades. As a poker player and a poker coder, I can't waiting for the detail.